Welcome to our blog! Check back often for updates! Whiz Khalifa • Slick Rick • Warren G • D.O.C. Custom wall murals for Din Tai Fung in San Jose, CA. Took the crew and headed north to San Jose for a custom wall mural install at Din Tai Fung's new location inside the Valley Fair mall. We used a canvas based adhesive for these wall murals. They came out really nice! Installed this wall mural for Boiling Crab Headquarters. This boat wall mural can also be seen at the Rowland Heights location. Had fun installing this custom wall mural for Tillster headquarters in Santa Monica, CA. Stoked to do this for GD Bro's new location in Signal Hill, CA. 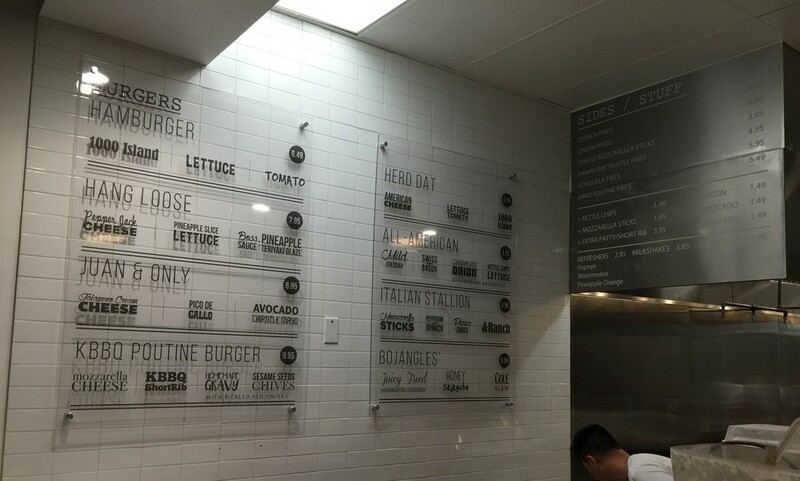 We installed a large wall mural, custom acrylic menu boards and menu decals.